A new study,led by the University of Birmingham in the United Kingdom, has discovered that a delayed response to processing written words may signal an increase of Alzheimer's disease in people with mild memory problems. A new study, led by the University of Birmingham in the United Kingdom, has discovered that a delayed response to processing written words may signal an increased risk of Alzheimer's disease in people with mild memory problems. The main objective of the study was to asses if there were any anomalies in brain activity during language processing in MCI patients which could lead to Alzheimer's. 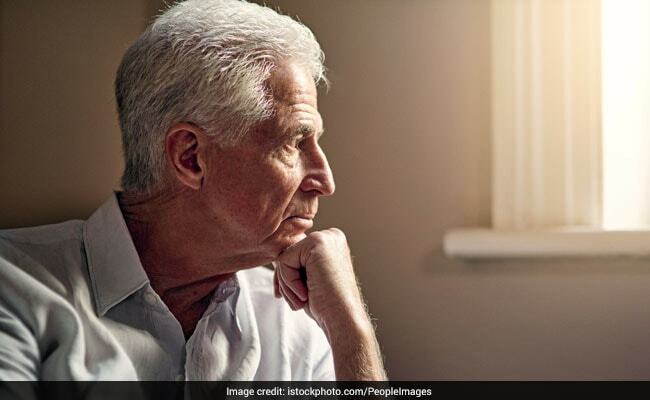 Mild Cognitive Impairment or MCI is a condition where a person has minor problems with mental abilities such as memory beyond what would normally be expected for a healthy person of his or her age. For the study, researchers studied the brain activity of a group of 25 patients to establish how quickly they processed words shown to them on a computer screen. They used an electroencephalogram (EEG), a test that detects electrical activity in a person's brain via electrodes attached to their scalp, to do so. The patients who took part in the study were a mix of healthy elderly people, patients with mild cognitive impairment (MCI), and patients with MCI who had developed Alzheimer's within three years of diagnosis of MCI. They focused on language since it is a crucial aspect of cognition and particularly impacted during the progressive stages of Alzheimer's disease. Their findings showed that the brain response is aberrant in individuals who will go on in the future to develop Alzheimer's disease, but intact in patients who remained stable. Your diet also play a crucial role in increasing or decreasing the risk of several diseases. Food can have a significant impact on your mental health and brain functions too. Here are five diet tips to keep in mind to reduce your risk of Alzheimer's disease. 1. Eat more food rich in Omega-3 fatty acids like flaxseeds, walnuts and fatty fish. They are known to be good for your brain and its functions. They also help in countering inflammation. 2. Berries are considered to be great brain superfoods. Researchers have found that blueberries help protect the brain from oxidative stress and may reduce the effects of Alzheimer's or dementia. 3. Foods like red peppers, oranges, broccoli and strawberry are packed with Vitamin C and are known to reduce the risk of Alzheimer's. 4. Add more green leafy vegetables to your daily diet. They are rich in vitamin K and Folic acid that help the brain function with ease and also help boost memory and prevent dementia.